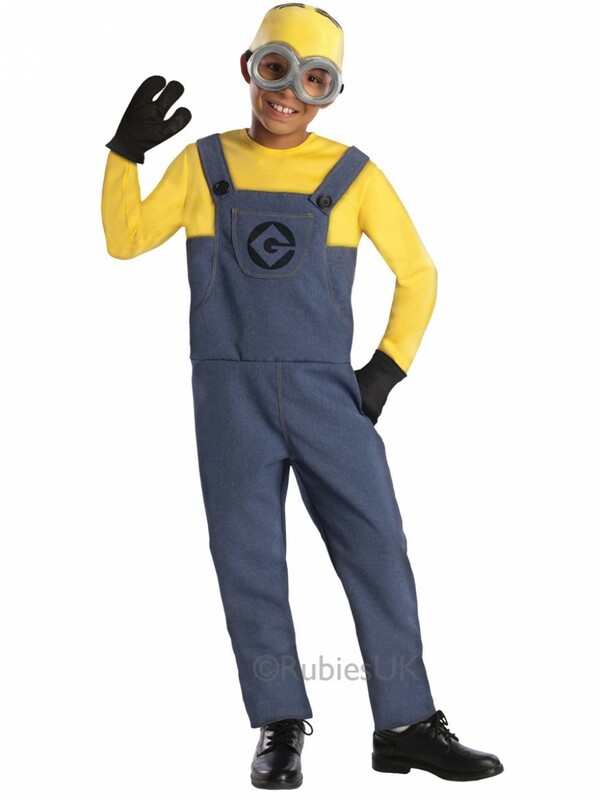 This Boys Minion Dave Costume is part of the official Despicable Me Fancy Dress range and includes Jumpsuit, Gloves, Headpiece and Googles. This Boys Minion Dave Costume is the official outfit from Despicable Me 2; with a fun new design sure to make your little one look cool. The costume includes Jumpsuit, Gloves, Headpiece and Googles. The all-in-one jumpsuit has a mock yellow top and denim effect dungarees style with emblem on the front and mock button fastening. The black gloves sit over the top and are nice and soft. The Boys Minion Dave Costume is completed with a headpiece and pair of goggles which finishes off this fun look to perfection.